It’s that time of year when your wardrobe aspirations and the weather forecast can work for or against you depending on the day. Nothing is worse than wearing a “fall is finally here” outfit on a surprise 90-degree afternoon. That said, now is a great time to embrace moisture-wicking fabrics, and we’re not just talking about gym clothes here. Our performance shirts look clean and crisp even under the sweatiest of late-summer circumstances since they’re quick-drying, wrinkle-resistant, and move with you. On top of that, they won’t get in the way of you making a new-season fashion statement. In fact, they’ll make your outfit. Here, five ways to wear our boldest patterned options right now. Stay cool, look cool—it’s really a win-win. Black and white is almost never the wrong move, especially when it’s done with all the details nailed. Your slimmest black pants and shiniest black shoes are a fine start to the operation, but a patterned shirt and tie working in harmony with one another are what will really make you look dialed in. 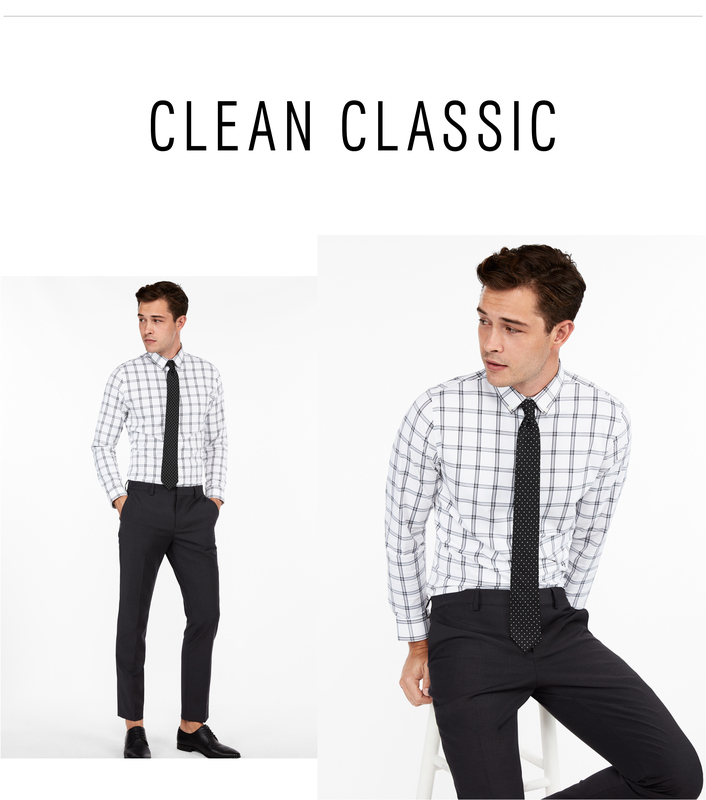 Try a white check shirt with a black dotted tie for a mix that only looks like it requires expert-level styling skills. Feel better when you’re wearing your favorite jeans? Yeah, us too. 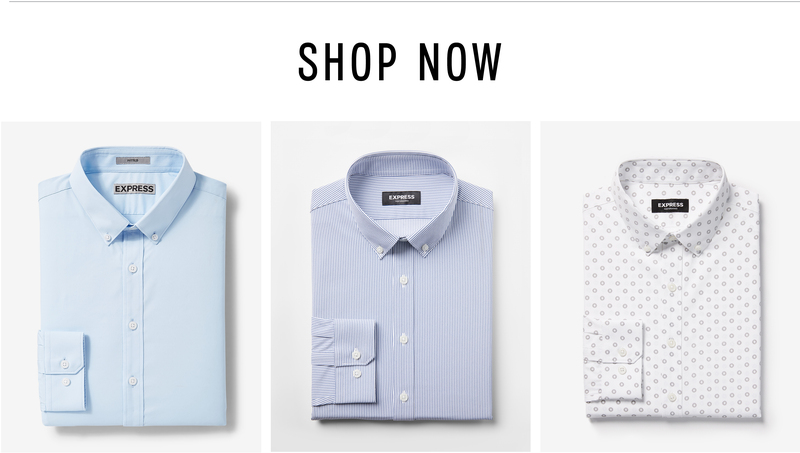 Polish them up with a performance shirt, slim tie, and clean leather sneakers and you’re ready for a day of networking with investors—or whatever happens to be on your agenda. Style tip: stick to indigo tones with your shirt and tie to keep your outfit feeling clean from top to bottom. Casual is OK in 2018, but cohesiveness is still in style. 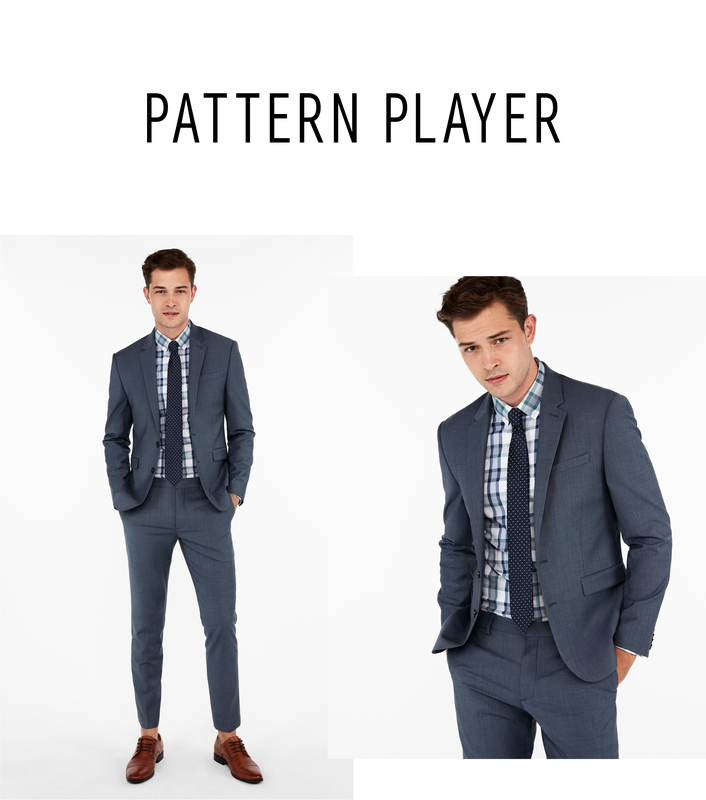 A patterned shirt is a stylish, not to mention affordable, way to give your go-to blue suit a fresh new spin. 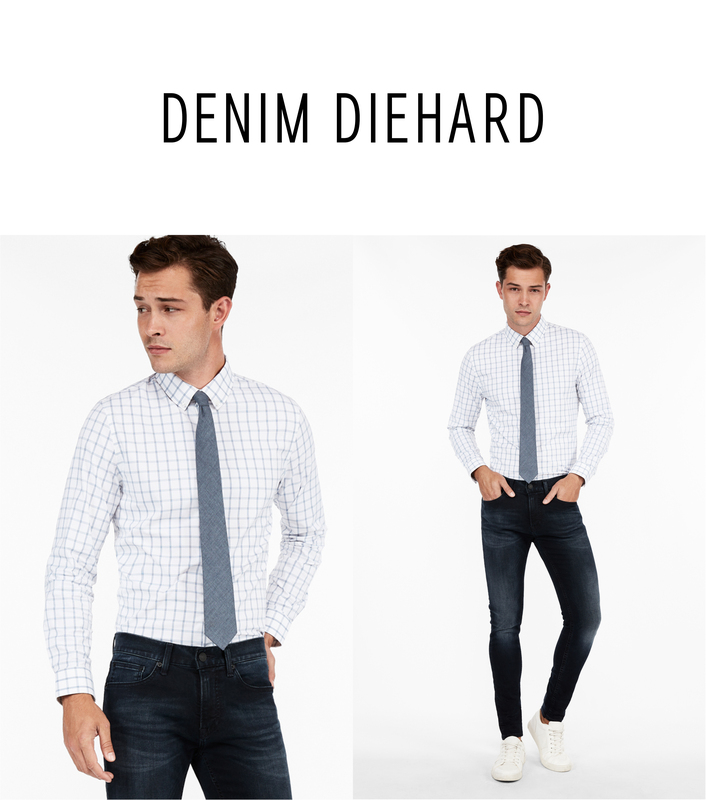 Try a bold check shirt with a dark tie for a combo that’s a little bit summer-y, a little bit sophisticated, and undoubtedly more interesting than just a plain white shirt unbuttoned at the neck (you know the move). Keep things simple with bare ankles if the dress code allows for it—you’ve got plenty to talk about up top. Who says a moisture-wicking button down can’t also be just a little bit badass? 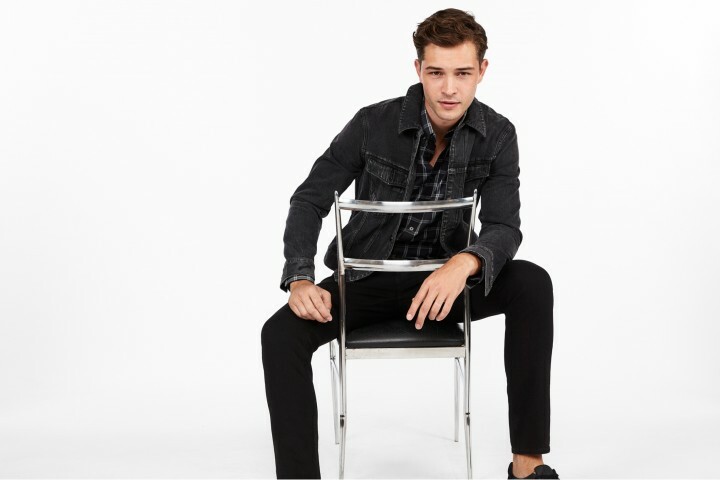 Stick with patterns grounded in black to set the right tone (think: more rebellious, less responsible), then style the shirt with your favorite black denim, on top, on bottom, or both. The best part: That shirt will keep you so comfortable and cool, you’ll be able to very convincingly pull off the part of the bad boy. 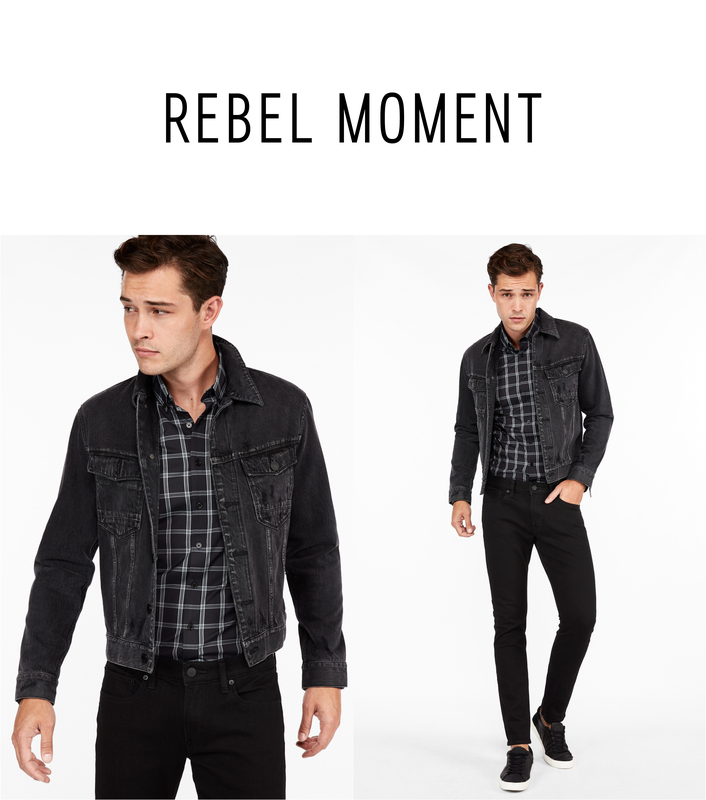 Picture your dad or grandfather in their most handsome heyday; that effortless style, that inner confidence shining through. Now do your own, modern version of that look with those same wardrobe icons. 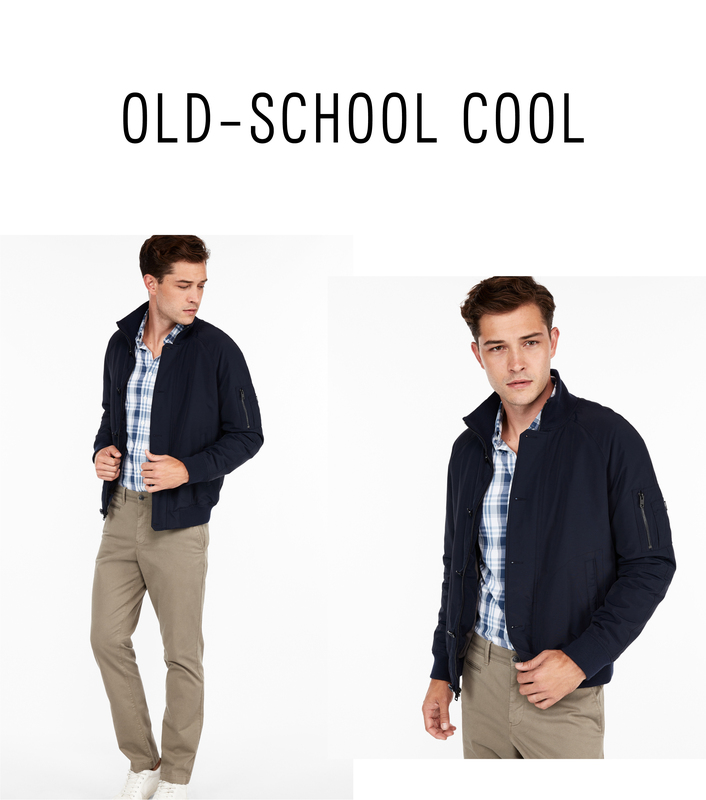 The slim chinos, the white sneakers, the navy bomber, and the picnic-plaid shirt. Snap a few photos and—voila—now you’re the style icon. Your future progeny are going to think you’re so cool.